Available at the November Holiday Open House, exclusively for Hallmark Keepsake Ornament Club members. Notes: Ceramic. Arms and legs dangle. Subscribe today for ALL the latest information! 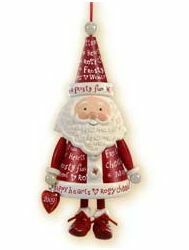 Copyright © 2014 - Selling online since 1997 Hooked on Ornaments. All Rights Reserved.